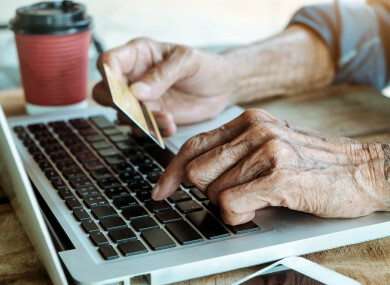 THE FAMILY OF a man who had money misappropriated from his account using online banking were awarded €8,000 in compensation by the bank in question last year. The details of the case are included in the latest annual review from the Financial Services Ombudsman, and this was just one of the 4,716 complaints the office received last year. Shortly after her father’s death, Geraldine* had discovered unexpected activity on his bank account. She questioned why he had online access, given that he was not computer literate, and had been paying bills online. It was then established that a third party had access to the bank account and had misappropriated the funds. The Financial Services Ombudsman mediated in the case between the woman and the unnamed bank. The bank answered her questions, apologised for the error and paid €8,000 in compensation for causing “additional stress at a difficult time”. This is one example given of the mediation processes on offer from the Financial Services Ombudsman, including problems with banks and insurance companies. Overall, the agency settled 2,370 disputes last year. Additionally, 1,202 complaints were closed following registration, referral and follow-up with the complainants. It dealt with over 15,900 phone calls in 2017 – a 50% increase on the previous year – and handled 8,000 queries via email. A breakdown is also provided in its annual review of the financial service providers who had at least three complaints against them upheld, with Ulster Bank having the most either upheld, substantially upheld or partially upheld. The ombudsman, Ger Deering, said: “The vast majority of complaints resolved by the FSO in 2017 were resolved through mediation, which is proving to be a very fast method of resolving complaints. Of the 2,370 complaints closed in 2017 through mediation, 57% were resolved in less than three months. The outcome of both mediations and adjudications can have a significant impact on the lives of real people. In 2017, a total of 1,482 complainants received some form of financial compensation, rectification and redress. *The FSO did not use real names for its case studies. Email “A man with no computer literacy had money stolen from him using his online banking service”. Feedback on “A man with no computer literacy had money stolen from him using his online banking service”.